The Core Independent Peripherals within the latest PIC® 8-bit microcontrollers offer the opportunity to perform hardware functions without the CPU core running any code. This can be extremely useful for applications that need to perform applications without interruption from the main application. 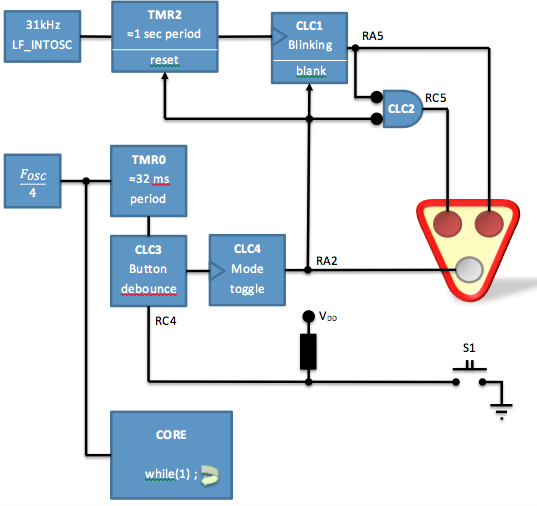 This simple example shows how to set up and use several Configurable Logic Cells (CLC) to produce a train crossing light. Two of the Curiosity boards LEDs (D4 and D7) are used to produce a flashing back and forth light display. The LEDs are controlled by a pair of CLC modules and a timer peripheral. To add function, the momentary switch S1 toggles between the train crossing flashing and a single LED light in the center (D6 LED), lit through a separate set of CLC modules and timer used to control the switch debounce. The main.c file contains no special application code, just a continuous while(1) loop. 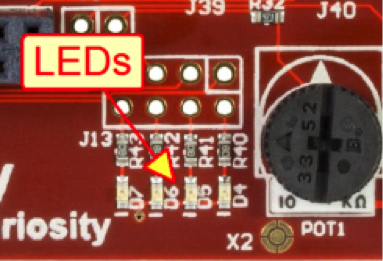 The Curiosity board has four LEDs prewired to the I/O pins shown below. This project controls three of the four LEDs. 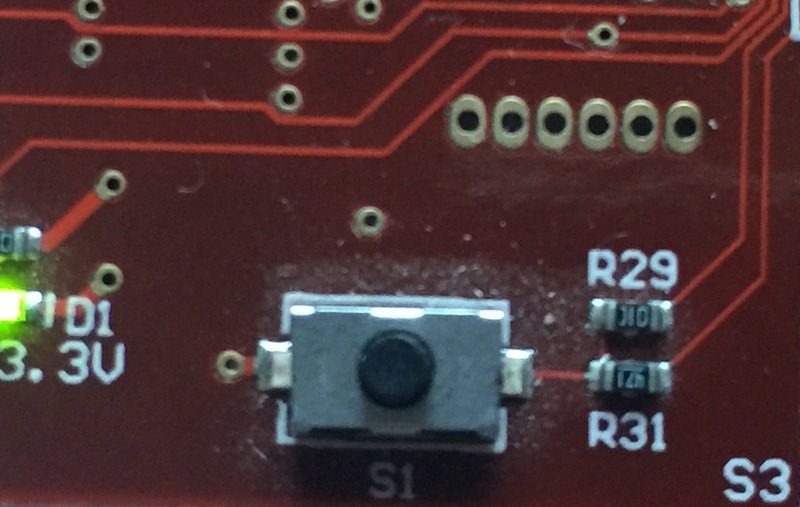 The Curiosity board also has a momentary switch labeled S1 and is connected to the RC4 pin of the PIC16F1619 microcontroller. The switch will be used to toggle the flashing on and off, similar to the way that an approaching train triggers a real train crossing signal. Add the TMR2 peripheral to the project from the Device Resources area of MCC. To do that, scroll down to the Timer entry and expand the list by clicking on the arrow. Now double click-on the TMR2 entry to add it to the Project Resources list. 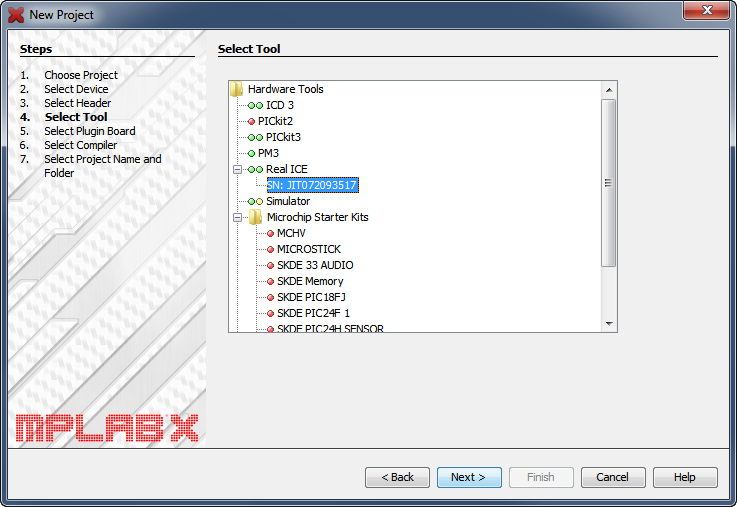 Then click on the TMR2 to open the configuration setup screen. Add the TMR0 peripheral to the project from the Device Resources area of MCC. To do that, scroll down to the Timer entry and expand the list by clicking on the arrow. 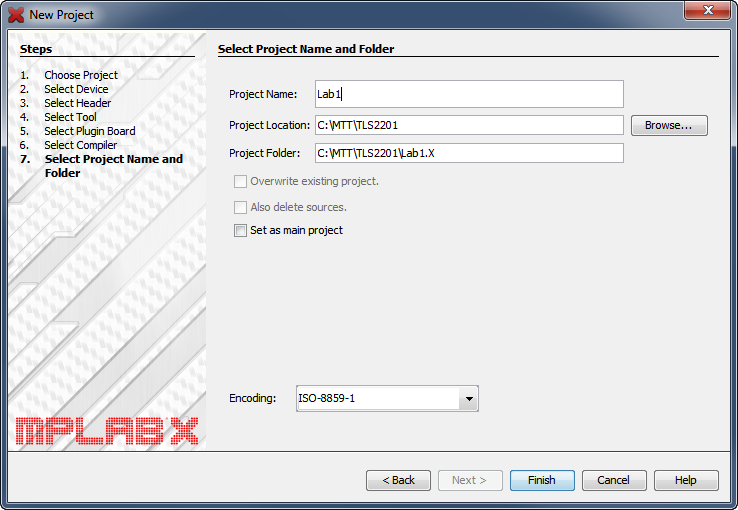 Now double click-on the TMR0 entry to add it to the Project Resources list. 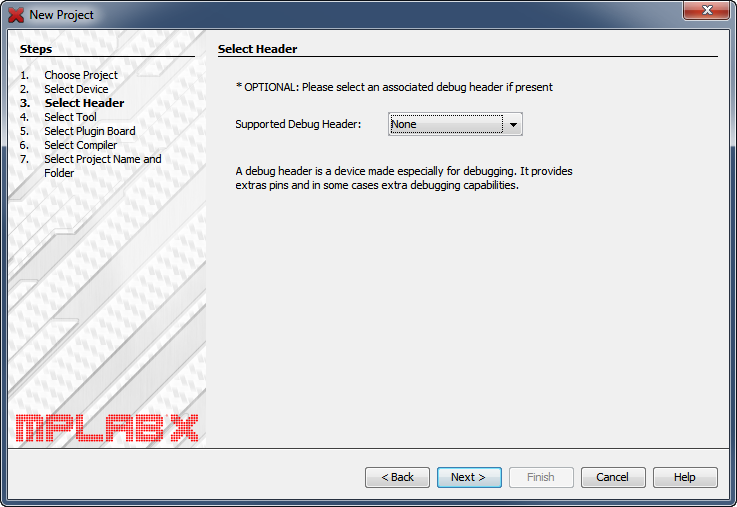 Then click on the TMR0 to open the configuration setup screen. 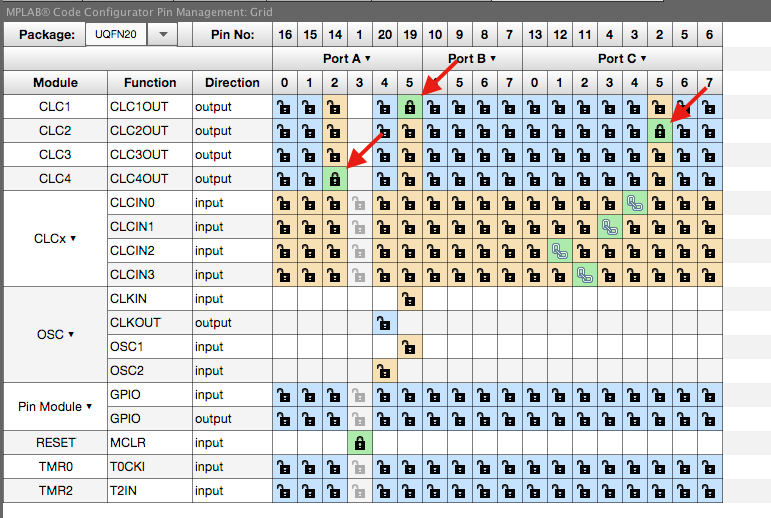 Add the CLC1 - CLC4 peripherals to the project from the Device Resources area of MCC. To do that, scroll down to the CLC entry and expand the list by clicking on the arrow. 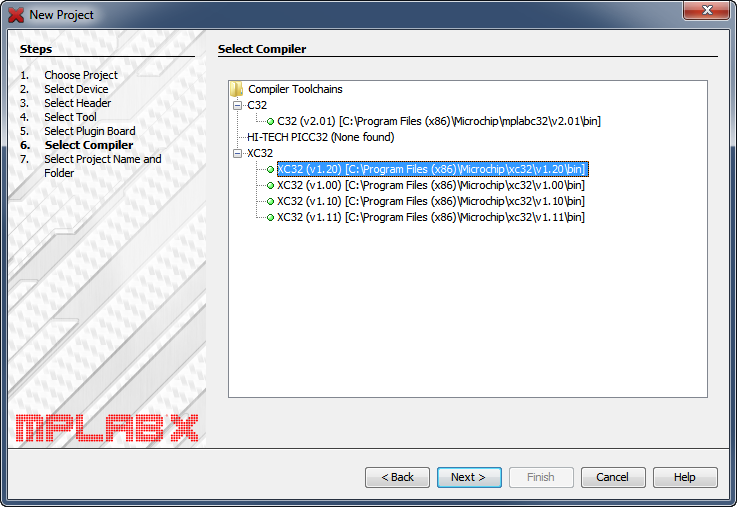 Now double click-on the CLC1 through CLC4 one at a time to add them to the Project Resources list. 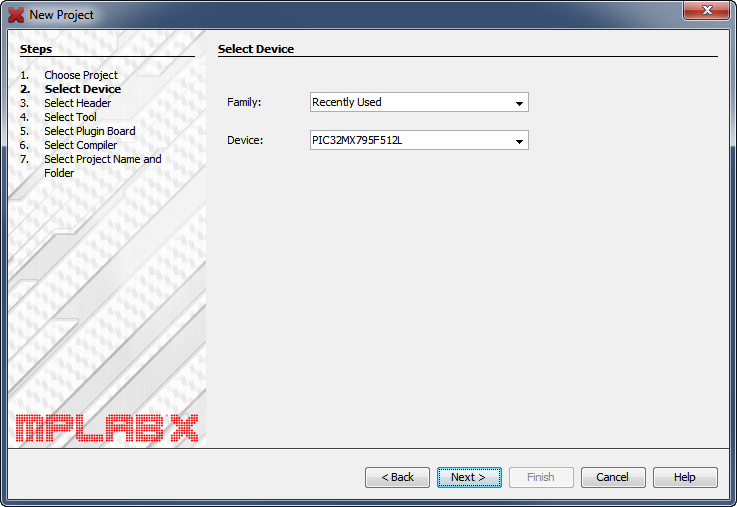 Then click on the CLC to open the configuration setup screen. Make the changes shown to the CLC1 block diagram. Make the changes shown to the CLC2 block diagram. Make the changes shown to the CLC3 block diagram. Make the changes shown to the CLC4 block diagram. 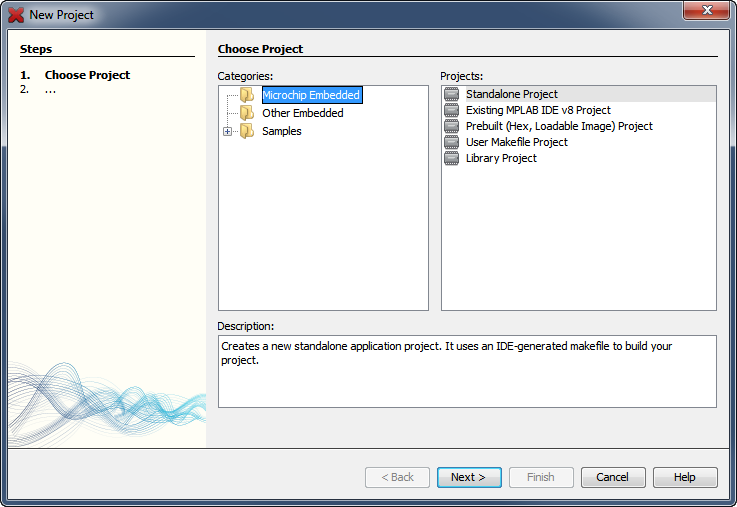 Since the project runs completely independent of the core, the generated main.c doesn't need any modification. The default while(1) loop will be the only code running. The D4 and D7 LEDs will begin flashing back and forth like a train crossing. Press the S1 switch and that will stop and the D6 LED will light and stay lit until the S1 switch is pressed again. When its pressed the second time the D6 LED will go out and the D4 and D7 will begin flashing back and forth again. Setting up several CLCs along with the timers can take a little bit of time but the MCC makes generating the proper register setup for these Core Independent Peripherals as easy as clicking on the Generate button. 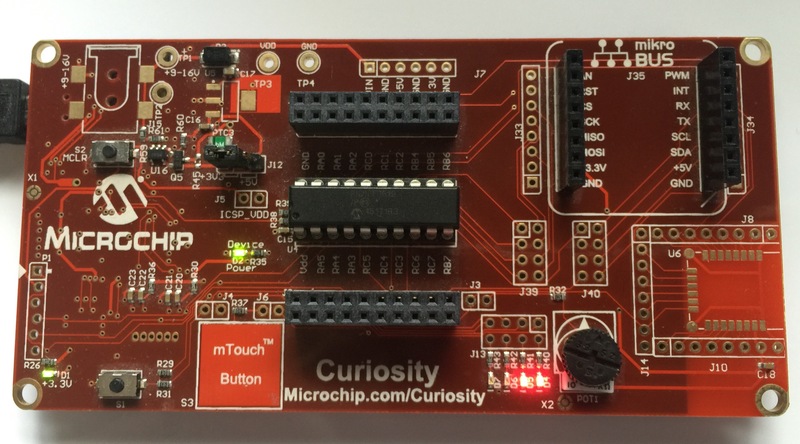 Once the drivers are generated, programming the microcontroller is the only step left to have a train crossing application running on the Curiosity board. Additional code could be added later (typically to main.c) but it won't affect the operation of the train crossing as that will be running independently.